It’s the lack of odor that won me over. Dip powder nails don’t use liquid monomers. This means when you get a manicure, there is no “nail polish” smell. Since I’m sensitive to scents, this fact convinced me to try out the SNS Nail System. Nail Salon Near Me: Manicures & Pedicures Near You Open Now! SNS Nail Removal: How to Remove SNS Nails At Home? I have friends who had recommended nail dip manicures to me over the past few years, but I avoided the experience because of the price. I found that the salons near me that offered SNS manicures cost about ten dollars more than getting gels. But I discovered that paying a little more had worthwhile benefits. To begin, I considered the manicure’s durability. For example, if I did my own nails with regular nail polish, the finish tended to chip within a couple of days. If I used an undercoat and a top coat, and avoided activities that might damage them, the nails might look good for Monday through Friday. For a longer-lasting manicure; I turned to gels. A professional gel manicure, or acrylics, could last up to two weeks. Of course, that still means babying my hands a bit. But then I discovered that the SNS Nail System creates a finish that will last three to four weeks. It’s like armor for your fingertips; only it doesn’t feel hard or heavy. Instead, I hardly know I had my nails done because it’s lightweight. The biggest problem is not chipping or fading; it’s that my nails grow out quickly! In case you’re new to dip powder nails, I’ll tell you more about them now. Although SNS, OPI, and other companies are mentioned online a lot lately, the process has been around for a few decades. Signature Nail Systems, or SNS Nails for short, is a brand of dip powder nails. 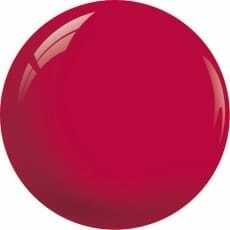 Not only do they have a wide selection of dazzling colors, but their finish is very durable. Also important, the coatings don’t have a strong odor, and they protect nails from damage. In fact, the dip powders contain nutrients like calcium and vitamins that strengthen fingernails. Although SNS Nails offers a lot of benefits, it wouldn’t be fair to ignore the cons. Back when big hair was all the rage in the 1980s, nail techs repaired their clients’ broken and split nails by dipping them. They coated the damaged nail with adhesive, then covered it with a special powder to build a flexible finish. In 1990, the SNS nail company first began marketing dip powders. Now in the 2010s, dip powder manicures are making a comeback. There are hundreds of colors as well as some difference in application style. But the primary process is still the same. If you visit a salon that offers a dip powder manicure, you’ll find certain things are the same no matter which nail system they advertise. To start, the nail tech will remove any polish you have and prepare your nail. If you previously had an SNS manicure, the removal process is very gentle. The tech will soak your nails in acetone for about 20 minutes, then do a little sanding and trim cuticles. The idea behind the SNS system is to strengthen your nails. Next, you’ll get a base coat or two, then a coat or more of powder. The nail tech will remove excess powder and paint on top coats. Finally, they will shape your nail to perfection, and you’re done. You won’t need to sit under a UV light because the SNS liquids dry quickly in normal room air. If you decide to try out this kind of manicure, I highly recommend SNS Nails. Their system has several advantages. 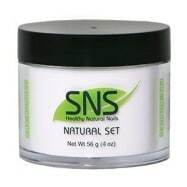 For one, the SNS products include vitamins for your nails to strengthen them. Second, they don’t contain many of the toxic ingredients that other polishes have. Third, there are hundreds of colors you can choose, including French-style manicures. Fourth, you don’t need to expose your hands to UV light for the polish to cure. And finally, SNS certifies salons where the techs are specially trained how to use these products properly. I’ll unpack some of the above benefits now. With regards to vitamins, the SNS powders contain Vitamins A, E, B5, and D and calcium to fortify and protect nails. Then, according to SNS, they avoid toxic chemicals like formaldehyde. You won’t need an acidic primer coat on your nails either. Instead, the dip powder contains milled acrylic, and the adhesive is cyanoacrylate. This is basically the same as Super Glue, which sounds terrible until you realize a similar product is used by doctors to seal wounds shut. Since the adhesive activates the powder for the curing process, you never need a UV light to set the polish. Finally, you can check the SNS website for yourself and see the training courses they offer. They even have a smartphone app that reviews steps for the nail techs who have had a class. When you visit an SNS-certified salon, you can verify the methods they use. You can also see if they dip, sprinkle, or pour the powder over nails. They should have a way to avoid dipping every client’s fingers into the same receptacle. Of course, if you choose to do your own manicure at home, this might not matter to you. And that’s the next thing I want to mention—how easy it is to do your own nails with SNS products. You can purchase the SNS Gelous dip powders, bases, and sealers for your own use. Just imagine how pleasant it is to do your own nails without harsh odors, without needing a UV light, and only using acetone to remove the old manicure. With 400-plus colors now, the only challenge is deciding which ones to try first. And just a little note: the powders themselves won’t reflect their exact color until they set. It’s best if you can see a cured sample like salons have on display. Then you’ll know precisely what you’ll get. In summary, I’m delighted with the SNS dip powder system. First, I appreciate that the manicure process protects the health of my nails. Then, I love that the finish stands up well to everyday wear and tear, looking good for up to a month. And I’m glad that getting my nails done is genuinely a pleasure now without strong odors. I hope this post helped you take a chance on SNS nails. Be sure to check their Salon Finder to locate a certified nail tech near you. That way you’ll get the best experience for the first time. I love sns dipping powder – when done in the salon it would last weeks! My finger nails grew out causing me to get another treatment. I decided to do the manicure myself to save money and even though I follow the instructions exactly, like Joyce Casanno mentioned, the polish would start popping off the nails around 3 weeks. Why? What’s the deal??? I have had this process done twice. Each time, after 10 days, the polish starts to lift. Then the whole nail of polish pops off. What is wrong?? Is the salon not applying the product properly?? I have thyroid issues as well, my nails are naturally healthy and strong,actually they grow rather fast. I have just tried SNS nail with no problems other than needed to redo after two to three weeks. It. Just saves me time to have someone else do my nails. When my natural nails break they break at a point of needed super glue to grow out. I have used baking soda and clear polish to mend works great.DIY TRICK. Be aware that some sensitive people may have allergic reaction although rare. I broke out in hives on my arms the day after getting S & S nails. I loved them for a few days before realizing that they must be removed. Will the powder also work with regular clear base/top coat polishes? Thanks for your nail SNS article. This sounds worth a try. If you are interested in dip powder, please be free to contact me. We are manufacturer of dip powder in China. thanks for the sharing. nice one.